What’s it going to take to bring The Storm’s Fury some proper balance? No matter what Riot seems to do, Janna just won’t stay down. After not one, but two hotfix nerfs in Patch 7.19 and the long-awaited death of the Ardent Censer in Patch 7.21, she’s still statistically the best support champion in the game. The attack speed steroid, mana regeneration, and heal/shield buff from the Censer enabled many enchanter supports to take over the meta for the latter half of the 2017 season. It took completely gutting the item right before the end of the season to allow any other style of support champion to stand a chance. Its attack speed buff was gouged from 20-35 percent down to 10-30 percent, and the on-hit magic damage was lowered from 20-35 damage down to 5-20. Soon after, the likes of Soraka, Lulu, and Karma fell down and gave way for playmakers to take over the bot lane—Thresh, Rakan, Alistar, and, yes, even Leona. Janna was barely affected, though. Even with every other support enchanter wavering, she still stands today with a higher winrate and playrate than any other support in the game at high elo, according to League of Legends stats site Champion.gg. It’s safe to say that it wasn’t only the Ardent Censer that was the problem near the end of last season—it was the Ardent Censer and Janna, and now she needs to be dealt with individually. But what can be done? It’s a difficult situation, simply because all her worth as a champion revolves around her shield, and to nerf her shield’s power directly might make her too weak. At this point, that’s a risk Riot may need to take, but higher cooldowns might be a good option, too. With even higher cooldowns to her tornado and shield, she’ll be forced to use them reactively rather than proactively, and the enemy bot lane will be able to work around her cooldown windows rather than just assuming she can block everything in nearly every fight. 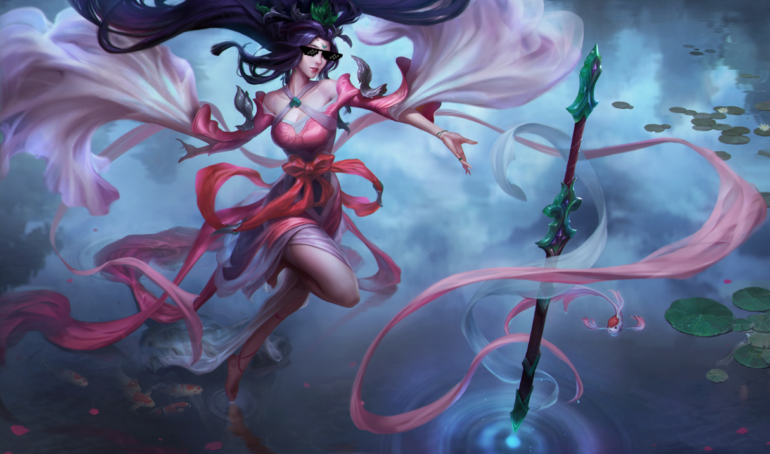 There are no Janna nerfs on the PBE at the moment, so, unfortunately, the earliest she’d be nerfed would be Patch 8.4 in nearly four weeks, if she’s nerfed at all. In the meantime, if you get autofilled to support, and you’re looking for some easy points, pick up Janna. There’s at least a good chance you’ll win.